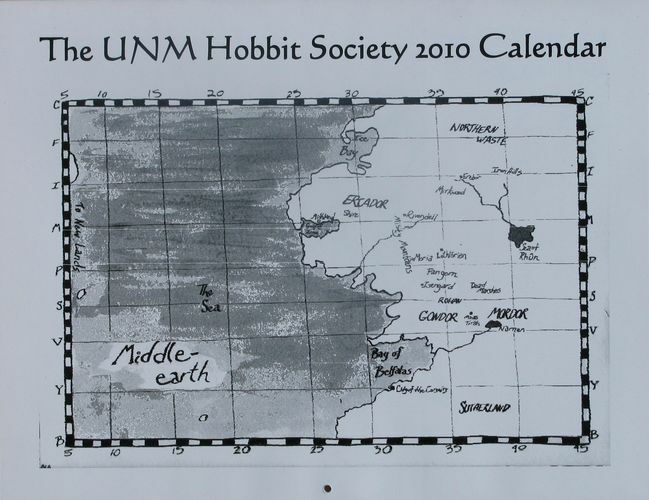 Issues from the University of New Mexico Hobbit Society. 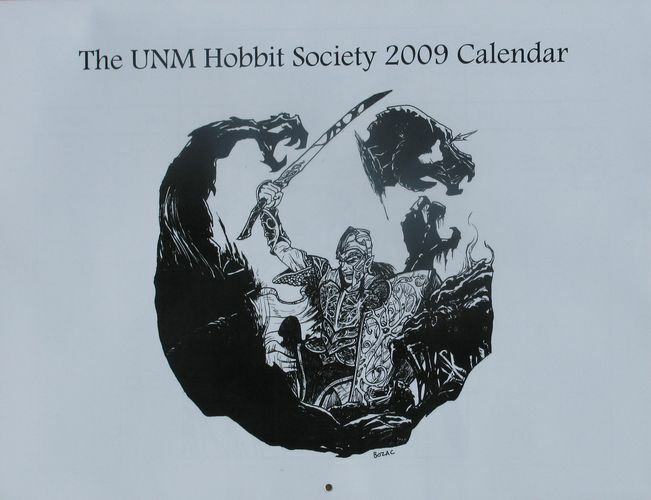 “The UNM Hobbit Society Presents its 3rd Annual 12 MONTH CALENDAR 2006" Illustrations by Daniel Bellum, Leslie McMurtry, and Raquel Montoya. 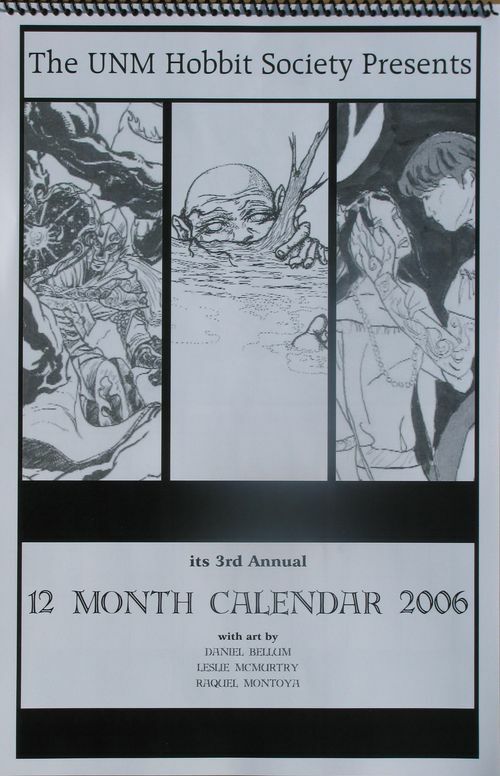 Dimensions: 11 x 27 inches (w x h); spiral bound. 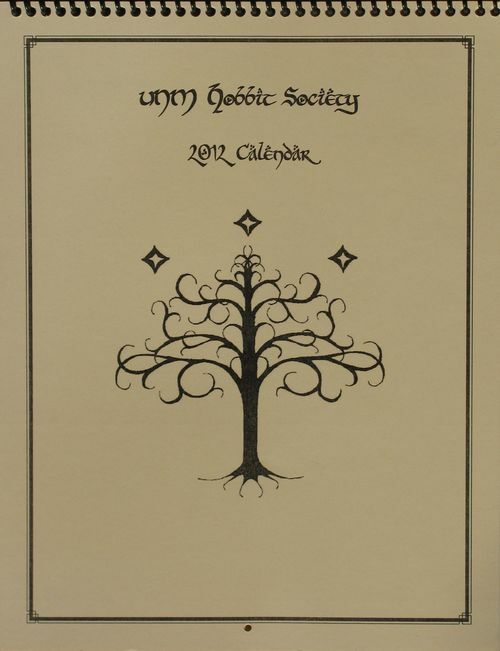 “The UNM Hobbit Society 2010 Calendar" Illustrations by Bethany Abrahamson, Aimee Deans, Katherine Kontos, Madison Sams, and Sam Sonntag. Produced by Cora Brittain. Dimensions: 11 x 8 1/2 inches (w x h); saddle stapled. 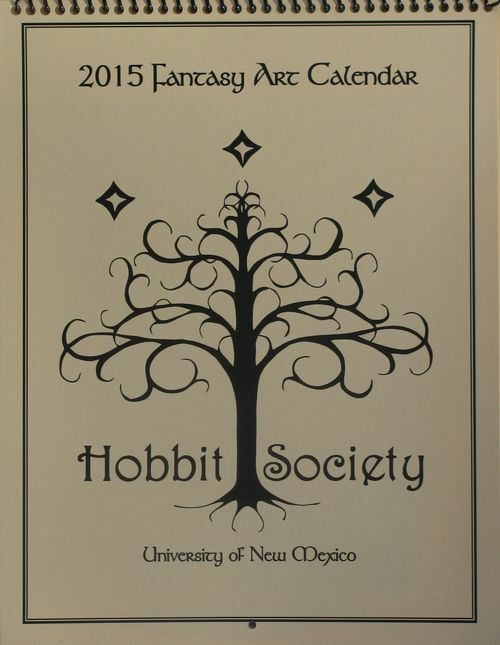 “The UNM Hobbit Society 2011 Calendar" Illustrations by Bethany Abrahamson, Daniel Bellum, Erin Connor, Amanda Fingado, Shaelin Jornigan, Katherine Kontos, Candace Miller, and Madison Sams. Layout and design Bethany Abrahamson, Cora Brittain, and Leslie Donovan. Dimensions: 8 1/2 x 11 inches (w x h); saddle stapled on the side. 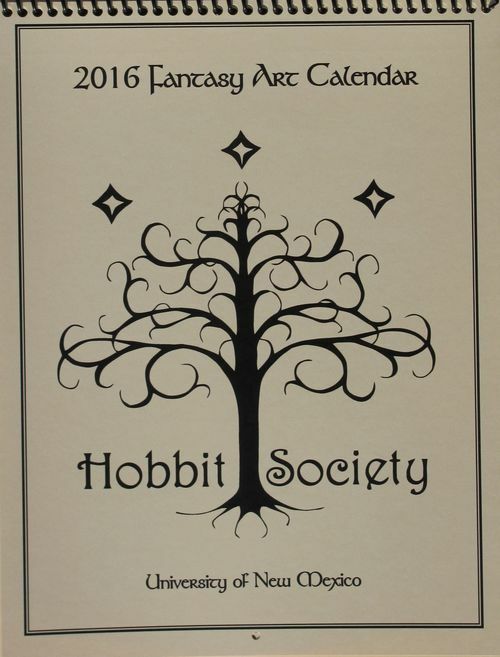 “2016 Fantasy Art Calendar Hobbit Society University of New Mexico" Issued by UNM Hobbit Society. 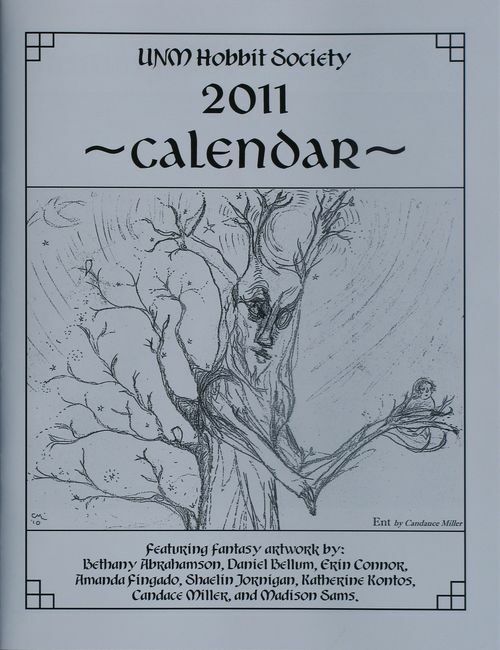 Illustrations by Dan Bellum, Mia Casesa, Janette Duran, Kristin Gentry, Ebe Kastein, Lise Lookman, and Fletcher Wallace. Design by Janette Durn with assistance from Dr. Leslie A. Donovan. Dimensions: 8 1/2 x 11 inches (w x h); spiral black wire binding.